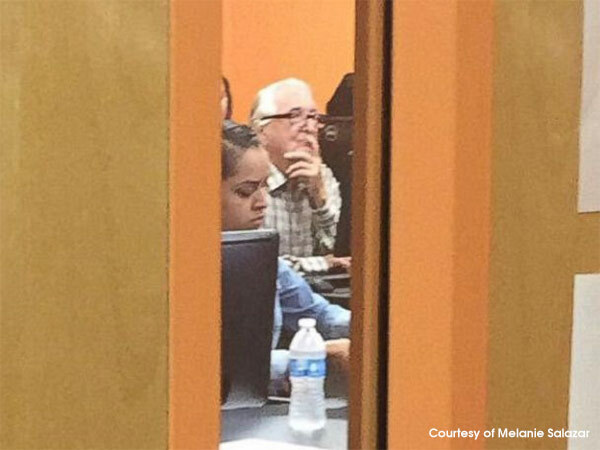 Melanie Salazar is an incoming college freshman, but grandpa gets to show her around campus. SAN ANTONIO, TX. (WPVI) -- 18-year-old Melanie Salazar is an incoming freshman at Palo Alto College in Texas, but she has an older, wiser, guy on campus to show her around. Rene Neira, 82, is inspiring thousands online for finishing his associates degree in Economics at Palo Alto College in Texas. 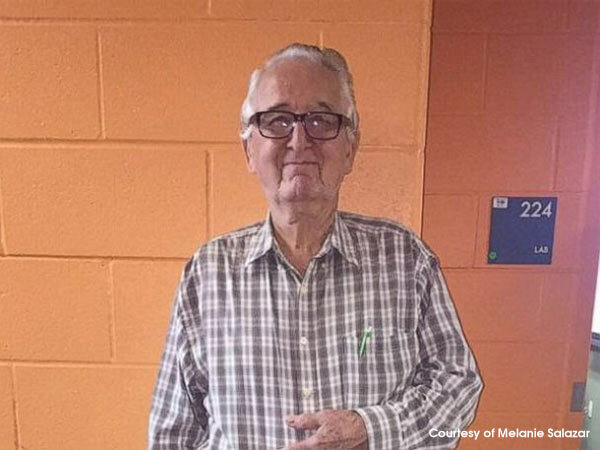 82-year-old Rene Neira is also heading to the same college to complete his associate's degree. Melanie's tweet about how proud she is of him for never giving up has gone wildly viral. She snuck some shots of him studying intently these first few days. And while they share a campus, he's studying economics and she's studying liberal arts, Grandpa is proof that it's never too late to go to college. He's inspiring not only his granddaughter, but people around the globe.